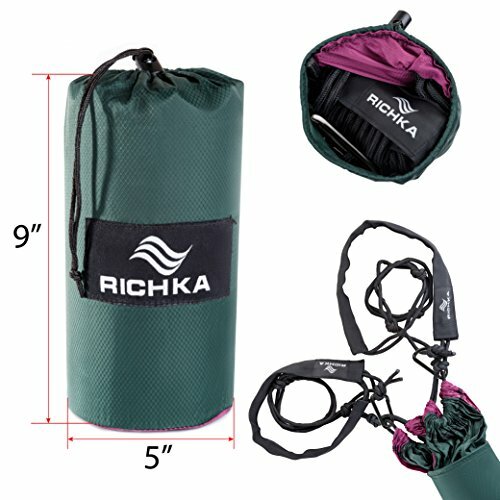 QUICK INSTALLATION- Takes under 3 minutes to set up. 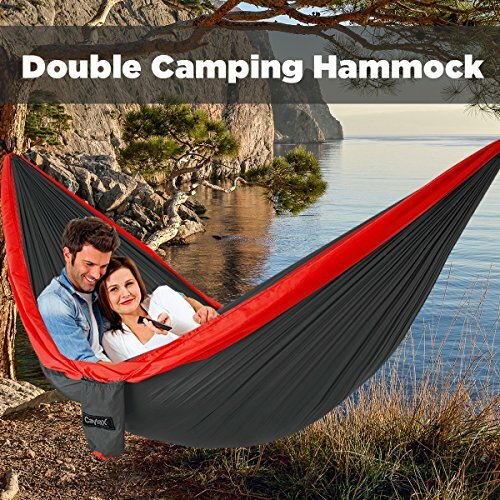 Our Camping Hammock (118″L x 78″W) is large enough for 2 persons. 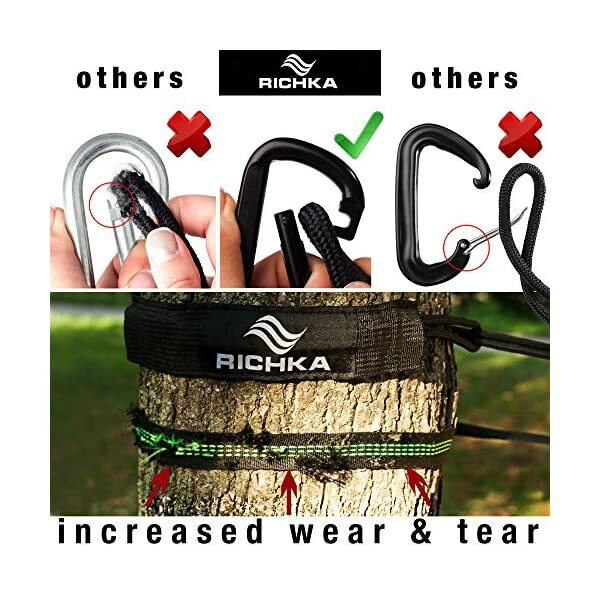 PREMIUM QUALITY- Our anti-scratch carabiners are more reliable and durable than their counterparts. 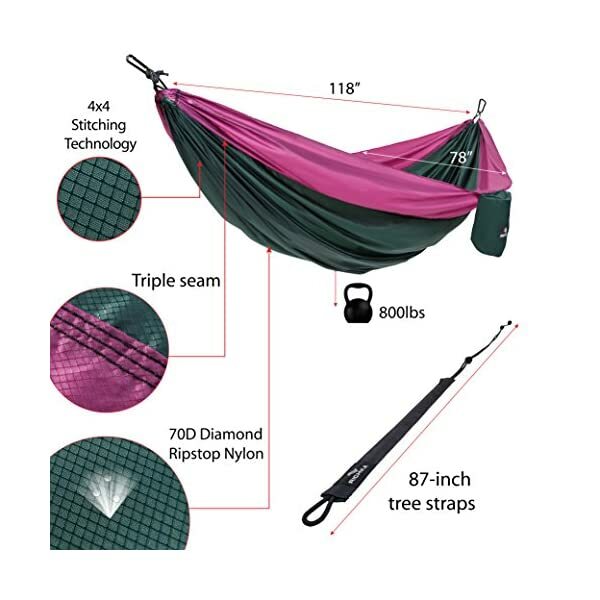 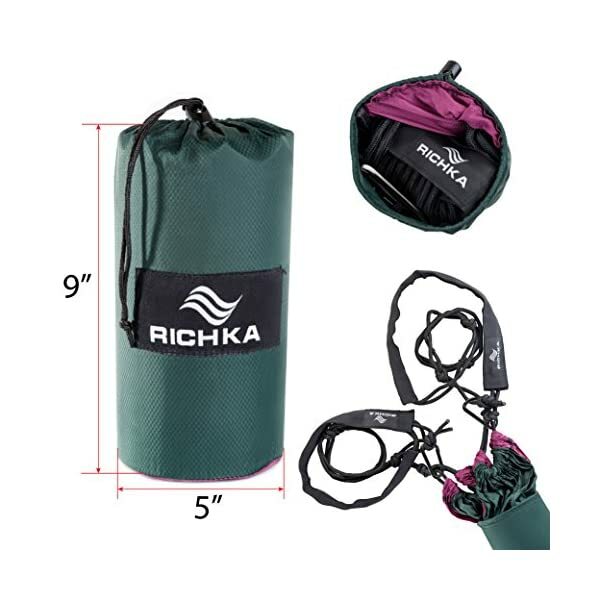 Our 87″ hammock straps are significantly longer than those 55″ ropes offered by our competitors. EASY TO CLEAN – Double Hammock can be machine washed. 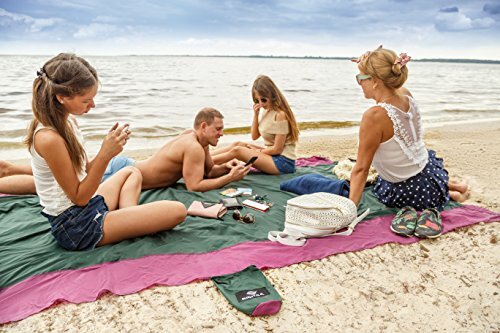 It is made from a quick drying, yet breathable material. 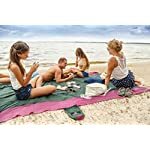 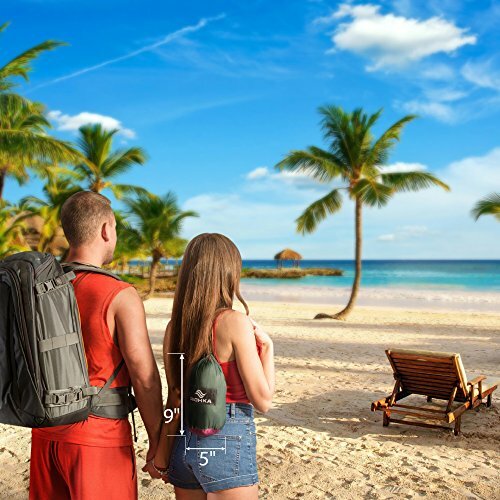 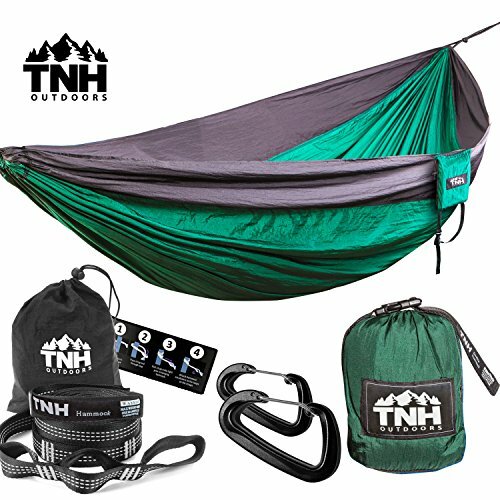 Going Camping, Outdoors, Backpacking or Hiking? 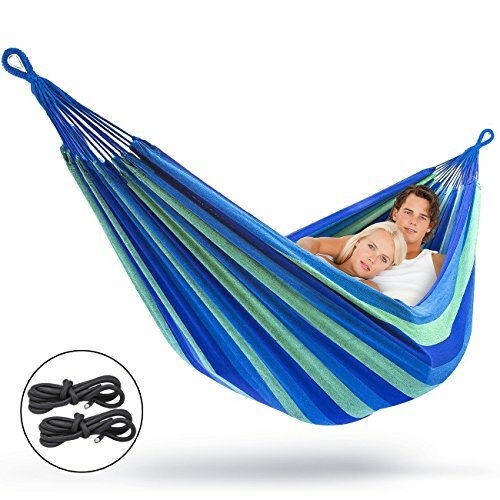 Then Get the Best Parachute Lightweight Hammock! 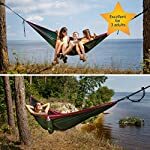 Portable hammock – This heavy duty hammock can easily be set up in your patio, backyard or garden. 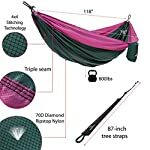 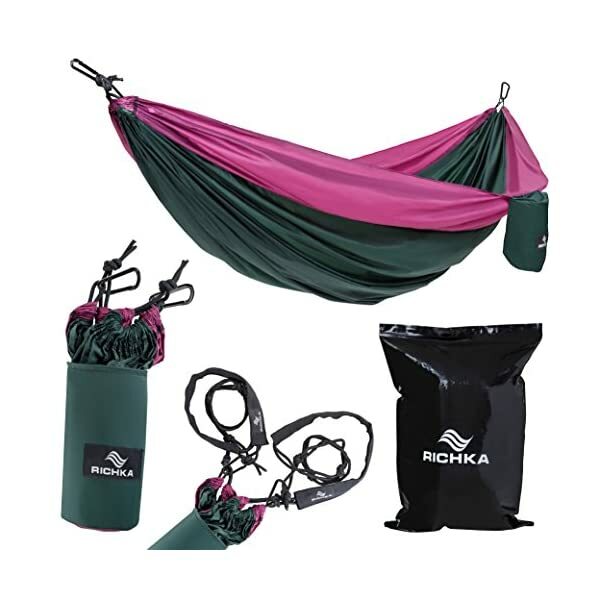 Perfect Gift – this ultralight hammock is an awesome gift for your loved ones and close friends. 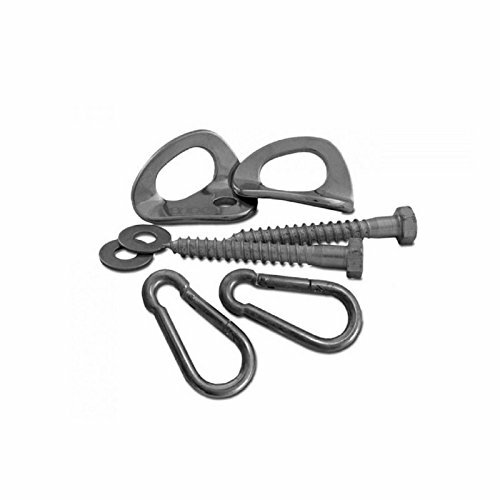 Eco-friendly – Our tree friendly hammock straps make certain that no trees are harmed all the way through use because of the provided protective sacks. 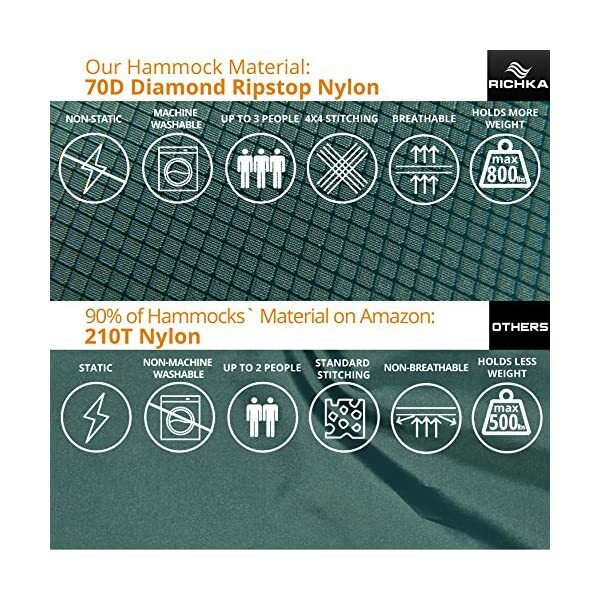 70D Ripstop Nylon Material – stain resistant and machine washable. 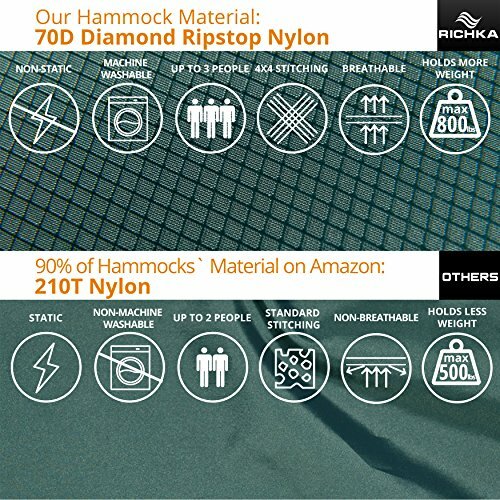 Feel the superior quality of 70D Nylon material over its competitor the 210T Nylon hammock. Versatile use – if you end up at a beach with no blanket, you’ll be able to easily use our hanging hammock both as a blanket substitute or tent to offer protection to yourself from the sun. 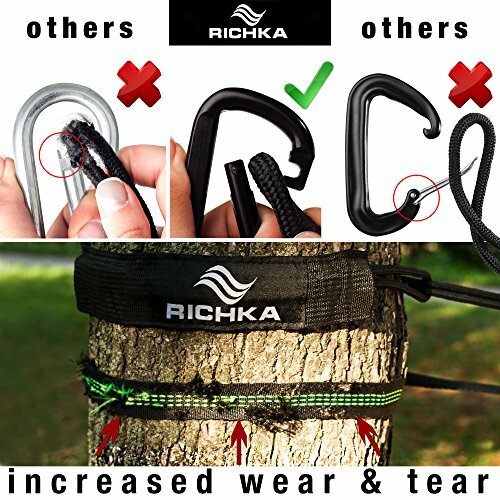 EVERYTHING NEEDED IS INCLUDED AT NO EXTRA COST! 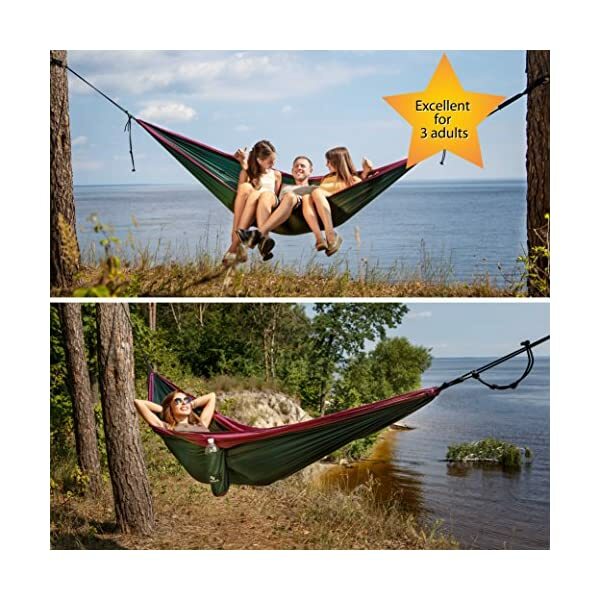 EASY TO CLEAN – Double Hammock may also be machine washed. 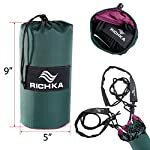 It is made from a quick drying, yet breathable material. 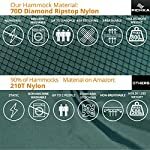 NO ADDITIONAL PURCHASES – when choosing our portable hammock, you are provided with the entire necessary components at no extra costs! 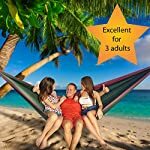 QUALITY AND SATISFACTION GUARANTEE – Each owner of our Parachute hammock is provided with a LIFETIME GUARANTEE. 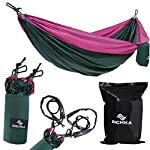 This backpacking hammock will be your indispensable companion for your entire outdoor traveling and hiking needs!